Offering you a complete choice of services which include laminated wooden flooring, meister laminated wooden flooring and krono wooden flooring. 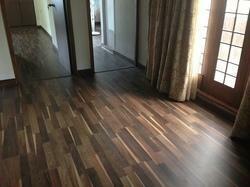 We also supply Laminated Wooden Flooring in various designs, colours and qualities. Wooden floorings include real wood flooring, engineering hard wood flooring and bamboo wood flooring, laminated wood flooring. 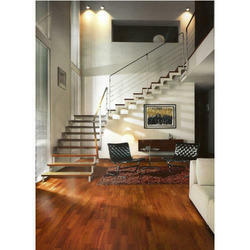 When you choose laminate flooring from MEISTER you are choosing an authentic appearance, durability and ease of care. We make sure of this with our high-quality standards in the manufacturing process and a sense of style in the design. Our current range includes native and exotic wood effects as well as surfaces which imitate tile, slate, sandstone, marble or textiles. Our range also includes floors with a saw-cut structure: the extremely realistic finish gives the look and feel of sawcut wood. With the exception of the LB 250 collection, all MEISTER laminate flooring is also available with integrated sound absorption. 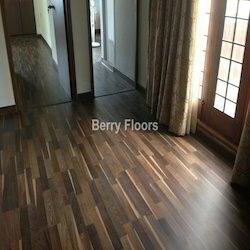 Berry Floors deals with Krono Original Laminated wooden Flooring. Krono original wooden flooring is available in 3 categories as Prima, Super natural and Vantage series. Krono Original wooden flooring products are made in Germany.